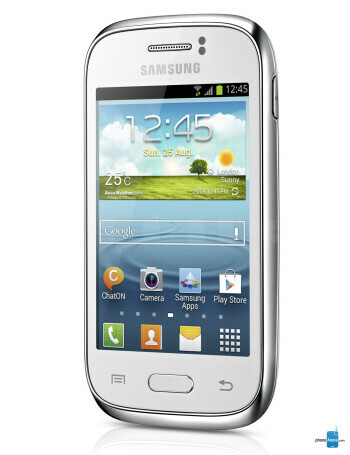 Samsung Galaxy Young is the newest addition to manufacturers affordable low-end Android lineup. 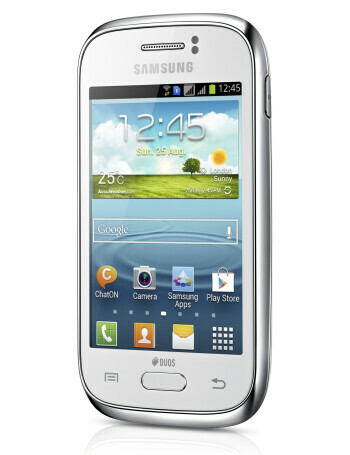 It is a 3.3” device that will come in a single and dual-SIM versions depending on the market. It will be offered in a variety of colors: white, deep blue, wine red and metallic silver. 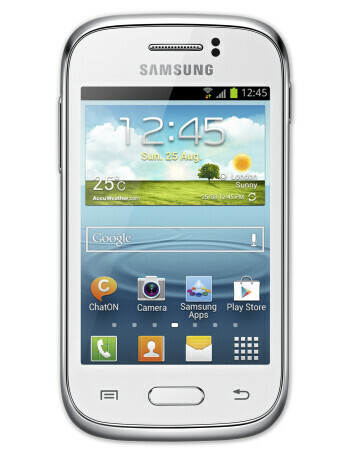 The Galaxy Young is based on Android 4.1 Jelly Bean with its “Project Butter” for smooth transitions, and it is powered by a 1GHz processor (of yet unannounced kind) and 768MB of RAM. The device is pretty thick at 0.49 inches (12.5 mm) but its compact size allows it not to be too heavy at 3.95 oz (112 g). 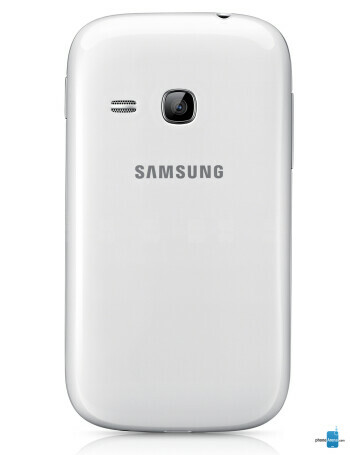 The Galaxy Young features a basic 3-megapixel camera with no LED flash. It is capable of recording VGA videos at 24fps, and plays back up to WVGA recordings at 30fps. Internal storage is 4GB, but expandable via microSD cards of up to 64GB. The device has a 1,300mAh battery. Price and availability were not yet announced but we don’t see any reason why Samsung would delay this much and price should be at the very low end of the Android market.